Commercial Landscaping in East orlando | Servello & Son, Inc. Since 1989, Servello and Son have brought dependable and comprehensive commercial landscaping to East Orlando. Decades of success are the result uncompromised commitment to customer service and a dedicated ability to deliver affordable and delightfully attractive results every time. 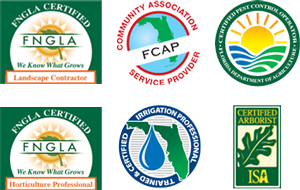 We are fully licensed and certified in a multitude of industry related fields, from irrigation to arbor care, so every detail and design can be managed by an acclaimed expert. We are the recipients of numerous awards within the community and hold memberships with a variety of associations, all devoted to the improvement and success of the Central Florida region. We believe in establishing long-term relationships with our friends and neighbors in the community through quality service at affordable prices. Commercial landscaping in East Orlando includes a long list of possibilities that vary from business to business. Our all-inclusive custom service packages reflect the individual needs of every unique property while staying within a comfortable budget. Every detail from pest and fungus control to tree pruning and shrub care is meticulously planned and maintained. Our staff consists of licensed and trained experts in landscaping care. We specialize in the personalized design, installation, and maintenance of eye-catching outdoor arrangement. East Orlando commercial landscaping requires ongoing attention and the ability to treat every detail with precision and care. Continual and ongoing training ensure that we are always on the forefront of industry knowledge and standards. 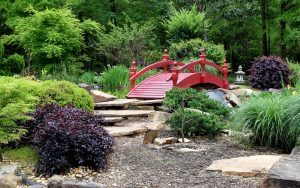 In order to provide affordable commercial landscaping in East Orlando, we must be available to meet the unique demands of each and every customer.